This is going to be a very honest article about my fitness journey so far, the mistakes I’ve made and the lessons I’ve learned. It’s also the introduction to a series of articles called “Let’s get real” focused on setting real goals and achieving them naturally. When I first started Skinny Muscles, I was working out at home and I wanted to share my knowledge with others who were in similar situation – skinny guys who want to gain weight and build muscles working out at home due to the lack of confidence to join a gym. I never claimed to be an expert or a fitness guru. All of my knowledge was based on research and interviews with fitness models and industry experts. I started with press ups and push ups to build my strength. I struggled but eventually I managed to get to 20 push ups and 50 sit ups. That’s when I bought a pair of dumbbells and started doing chest and shoulder presses, and biceps curls. I felt stronger and fitter. My body was tighter and I noticed some definition. I incorporated weight-gaining protein shakes into my diet and increased the amount of food I consumed. Happy to report that in a few months I gained about 5kgs. It wasn’t all muscles but it was a step in the right direction. As soon as I gained some weight and went up a couple of jeans’ sizes, I got comfortable and eventually stopped exercising regularly. I kept eating and that’s how I maintained my weight. Then my weigh kept slowly going up until it reached almost 90kgs. I was happy even though I was out of shape. A couple of years ago, I suffered a personal loss and in less than a few months, I went down to under 70kgs. I was grieving and I was surviving on nicotine, caffeine and the occasional McDonalds meal. It was bad, and to top it all, I had a hernia which required surgery. My hernia repair surgery went well and upon my recovery from it, I joined my local gym. Hurray! At that point, going to the gym wasn’t about my physique. Not at all. It was about the endorphins and socialising because I was still grieving and feeling down most of the time. Back then, the idea of going to the gym to workout terrified me. Even though I chose a gym at a golf course which was empty most of the time, I was still uncomfortable on my own, so I hired a personal trainer. I was very weak at the beginning and we took it slowly but as time went by, I gained some strength and began to enjoy my workouts. I did three workouts per week for a year and that combined with eating regularly, helped me get my weight up to nearly 80kgs. It was by coincidence that when my first year’s gym membership ran out, I moved to a new town. Joining another gym wasn’t a priority as I was happy with my weight. It took me a good couple of months before I found the right gym to join and I wasted a couple more months before I started working out. I worked out on my own for a couple of months. It started well – three times a week, but then I couldn’t be bothered to go as I wasn’t seeing any changes. Actually there were changes – I was getting weaker and the definition that I had developed began to fade away. It was then when I decided to hire another personal trainer. I had the foundation and just wanted to shape up a bit. We started with three one hour-long sessions per week and did that for a couple of months. My strength was improving and I started noticing some definition. That encouraged me to keep on going. My trainer kept pushing me and increasing the weights that I was lifting, and we decided to go on four to five half-an-hour-long sessions per week. We now target different muscles each day and I feel better than ever. The hard work is paying off and the changes in my physique are proof of that. My biggest mistake by far is that I spent years fixated on my weight. I was obsessed with how heavy or light I was. My ideal “number” was 85kgs and as soon as I “hit” it, I was happy. That was my driving force and that was my motivation. As soon as I reached my “ideal” weight, I stopped working out and went back to my old ways – not eating regularly and not exercising as much. Up until a couple of months ago, I didn’t have a long-term plan. I just wanted to be at least 85kgs and fit in 34 or 36 size jeans. That was my plan and my main reason for working out. It was my trainer who suggested that I look into the long-term strategy and pay attention to my nutrition and workout programmes. I am very grateful that she saw the potential and kept pushing me. If it wasn’t for her, I would have taken a step back as soon as I reached the 85kgs I so desired. Now I am 86.5kgs and my muscle size and definition have increased. Along the way, I’ve made mistakes, of course I have and I am not ashamed to admit that. I have also been successful in achieving my goals. Perhaps one of my biggest mistakes was that I never documented any of my successes hoping that I will achieve even bigger results worth celebrating and sharing with you all. Not celebrating your achievements is a mistake which applies to all parts of life, not just the gym. It’s important to mark these milestones and your progress. It helps you stay motivated and focus on your journey. I am now at the point of no return regarding my fitness. I’ve worked quite hard for the past few months and I can see that hard work is paying off in terms of increased muscle size and definition. My aim is to keep going to the gym and working out 4-5 times per week. I also want to focus on my abs area. It lacks definition and even though I have abs, they are hidden under a layer of fat which needs to come off for the summer. 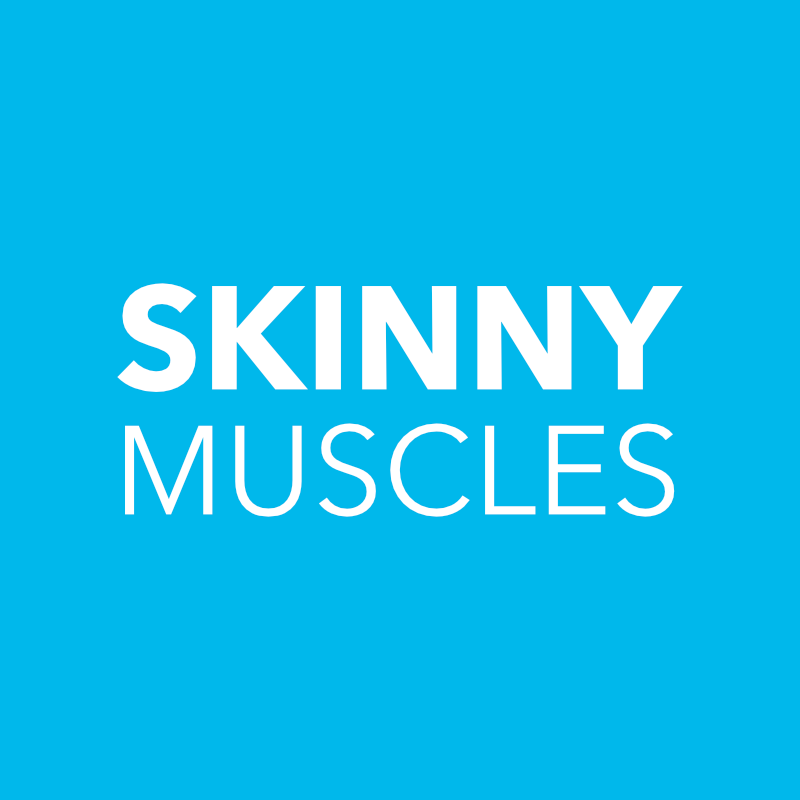 Skinny Muscles is going to remain online and regularly updated with articles showing you how to get real and lasting results naturally. The biggest lesson that I learnt from my fitness journey so far is that changing your physique takes time and dedication. It doesn’t happen overnight and unless you are a fitness professional, the results come very slowly. It’s important to understand that we are all different and that’s a very good thing. It makes us unique and normal. In the real world, all things take a lot of time and hard work to achieve. Body transformations are no exception to that. My only advice is to do what suits you and fits best with your lifestyle and goals rather than be influenced by what’s currently trendy. There is nothing wrong with trends but they fade away and you can’t keep up with them in the long run.